"Thank you all for your kind words and condolences," she wrote on Instagram. "It gives our family great comfort knowing she lived a good life and is now at peace." 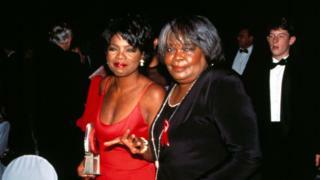 She and Winfrey's father, Vernon Winfrey, never married. Video Oprah Winfrey: From TV host to president?